Apps and modern technology mean that we can take the act of booking holidays into our own hands. Here are apps that can help you book the best holiday. A few years ago booking any kind of trip took time and effort. It usually meant visiting a travel agent and sitting patiently while they accessed their all-powerful, all-knowing computer (the screen hidden from your view) and gave you a limited list of options slightly above your maximum budget, and not quite the exact dates you were after. Getting information on the accommodation on offer was usually limited to you asking the travel agent if it was a ‘nice place’. 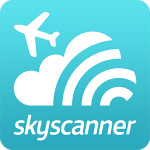 Skyscanner is the daddy of flight search apps, and it’ll quickly give you the lowest fares from and to anywhere in the world. If you don’t have an exact destination in mind, you can do non-specific searches to find the cheapest places to fly (and on the cheapest dates). Skyscanner also has a great interactive graph that lets you fine tune your search result and home in on the best deal. Out of all the flight apps we tried, Skyscanner usually managed to find the cheapest flights – which is why it’s on top of our list. If you’re a fan of this app then you’ll probably want to check out Skyscanner’s hotel booking and car rental apps too. Expedia’s another huge name in travel, and its app is one of the best. It has all the usual flight and hotel searching functionality you’d expect, and there a few options to sort reviews by (‘favourable’ or ‘critical’, for example) to help make your mind up. The thing we like most about this app is the number of exclusive discounts it offers – on last-minute hotel bookings in particular. And if you’re using the app on an iPad, searching by destination will give you results for hotels AND flights in one panel – a great time-saving feature, and something that we’d like to see on the phone app as soon as possible. 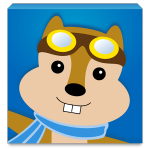 Hipmunk is a neat little flight and hotel search app with a simple and user-friendly interface. It competes with the bigger boys by offering some imaginative search features, so not only can you sort flights by price and length, but you can also search by agony. Yes, agony – so you can find out which flights have less stops and a shorter duration than others. 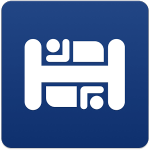 Hipmunk also includes alternative methods of accommodation, so in addition to the usual hotels, you can also connect with people who want to rent their rooms or homes directly to travellers. 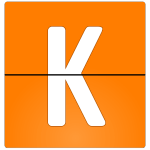 The Kayak app allows you to search for and book the best deals on flights, hotels and cars, plus it has some handy additional features like a ‘flight tracker’ that lets you view the progress of your flight, and its estimated time of arrival. There’s also a free itinerary management tool to help you manage your journey, you’ll be able to keep copies of all your booking emails and attachments in one convenient, easily accessible location. 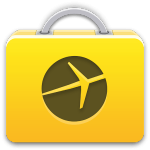 And it supports Passbook, so if you have this on your device you’ll be able to store your boarding passes too. If you’re travelling on a budget and don’t mind bedding down in a hostel then this is the best app there is. You can search over 30,000 hostels, read their customer reviews and view photos to help you find trustworthy and reliable accommodation. You can filter searches by price, rating or location, and you’ll also find lots of useful information such as Wi-Fi availability and distance from public transport hubs. Hostelworld is fast and easy to use too, so if you’ve just arrived in a location and need a hostel, a ‘quick search’ by current location will give you instant results in a single click. If you’ve used any of these apps to try and book travel in the past, let us know how you got on. And if you’ve got any favourite travel apps that aren’t on this list, feel free to recommend them.